This guitar is a 3/4 size from the same group of guitars as John Lennon´s 325. Most early models had solid top. This one from 1960 has a F sound hole, single gold lucite pickguard, rosewood fretboard with dot inlays. The model 310 has two pickups and no vibrato. 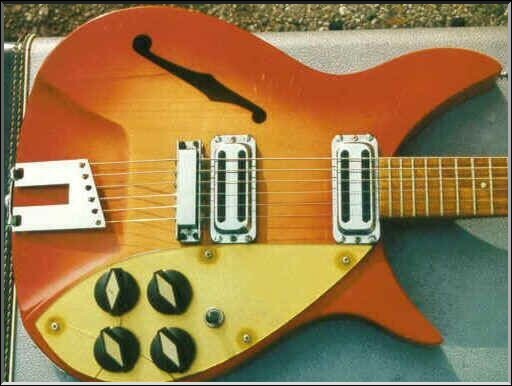 This model was once owned by Rickenbacker collector John Williams.